The local New Testament church is clearly defined in that scripture: As the "house of God," which is a dwelling place for God among His people. As "the church of the living God," it is an assembly which God Himself has called out. As the "pillar...of the truth," it exists to support the Word of God. As the "ground of the truth," it is the starting place for God's work, and a place for growth and nourishment. Where a person attends church is not a decision to be taken lightly. The right kind of church should have members which love the Lord Jesus Christ, are burdened about lost souls, have a desire for holiness, have an ability to labor in the work of God, a willingness to sacrifice towards its accomplishment, and should be completely loyal to the preserved Word of God (KJV 1611). 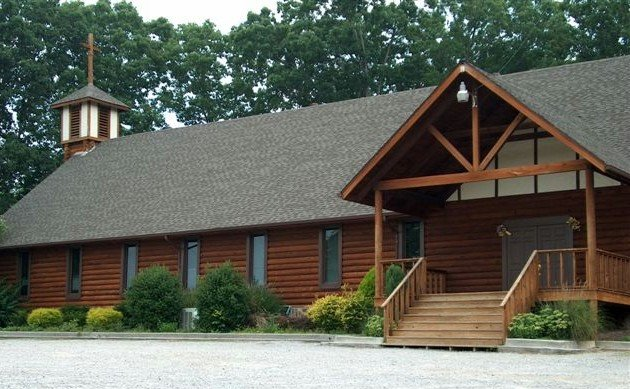 Trinity Baptist Church of Helenwood, Tennessee is a church which has been founded by the Holy Spirit upon the Lord Jesus Christ through the Word of God. Our church is grateful to have been used by God's Holy Spirit toward many ministries in the past, and now looks forward to continue to be used until the return of Jesus Christ for all who have trusted in His finished work for salvation. It is our desire to have a church which is a close family, strong as an army, worships like a temple, and functions as a body. In these last, days, not only should a church have a clearly outlined doctrinal statement, but it should also be more than ready to stand against all false doctrines. A church is defined by its work which it is doing, by its doctrinal statement it holds to, and by the members it has.